Mr. Pennington is the Managing Shareholder and a founding member of the Birmingham Office of Ogletree Deakins. For more than two decades, he has represented employers in a wide range of labor and employment law matters, including administrative agency charges, federal and state court litigation, union campaigns and collective bargaining. Mr. Pennington strives to help employers achieve peaceful, productive workplaces. He helps employers avoid workplace disputes by providing management training and developing defensive documentation such as effective employee handbooks, dispute avoidance and resolution policies, and drug and alcohol testing policies and procedures. He is well-known for helping employers navigate through the difficult intersections of disabilities and leave laws. 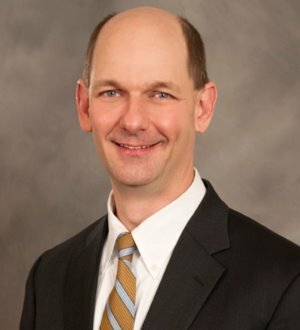 Mr. Pennington's litigation experience includes matters such as employment discrimination, disabilities, wage and hour disputes, FMLA, restrictive covenants and trade secrets, labor strikes, executive compensation, employee benefits, first amendment and due process and other constitutional issues. He has also arbitrated many discipline and labor contract arbitration matters before labor arbitrators. A founder of the firm's Higher Education Practice Group, Mr. Pennington has extensive experience representing colleges and universities in matters related to labor, employment, academic policies and student discipline.